A MAN TRIED to rob a Pennsylvania bank of $1 because he hoped to be sent to a federal prison nearby. Jeffrey McMullen, a 50-year-old regular customer of an AmeriServ bank in the western Pennsylvania town of Northern Cambria, handed notes to two tellers demanding just one dollar, according to a police complaint reported by The Tribune-Democrat of Johnstown. The tellers thought it was a joke, police said. He then spoke with a new accounts employee and repeated he was robbing the bank of one dollar. Police say McMullen apparently wanted to be prosecuted federally so he could be taken to a prison in central Pennsylvania. 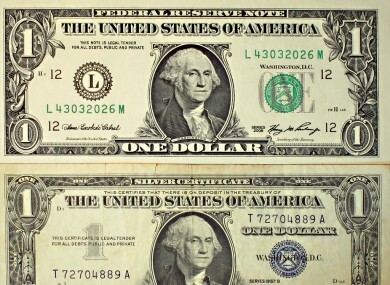 Last year a man in North Carolina stole a $1 bill from a bank so that he could receive free medical care in jail. McMullen awaits a preliminary hearing. Under terms set by a Northern Cambria district judge, he must undergo a mental evaluation and post $50,000 bail in order to win release from jail. FBI custody. Preferbly (sic) Loretto Pa. No press. Seal all files. Police took that to be a request that McMullen hoped authorities would not publicise his case. Federal bank robbery. Please hand over $1.00. Email “Man tries to rob $1 from bank in prison bid ”. Feedback on “Man tries to rob $1 from bank in prison bid ”.